Congratulations – you are about to embark on the exciting and rewarding corporate transformation process. You’re here because some element of the previous strategy, execution, or management did not yield anticipated results and remedial action must be taken. A huge task lies ahead of you – turn the ship around. In all likelihood, this will not happen immediately, but the first few months are most critical in determining the overall success or failure of the transformation. 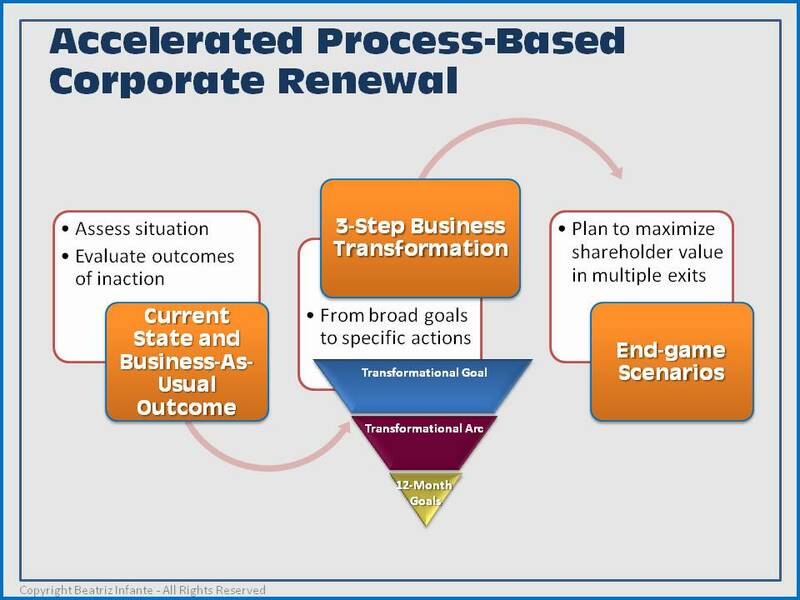 In this and the following several blog posts, we provide step-by-step details for a proven “3×3” process for corporate transformation and renewal. Assess where you truly are with an unbiased and analytical eye and what the likely outcome will be if no action is taken. As a key component of this corporate transformation process, every company needs to have a strategy for maximizing shareholder success, which sometimes may entail M&A activity. Understanding what the possible endgame scenarios might be is a fundamental part of corporate renewal, and incorporating end-game thinking into a company’s operating strategy is an essential role of company leadership. 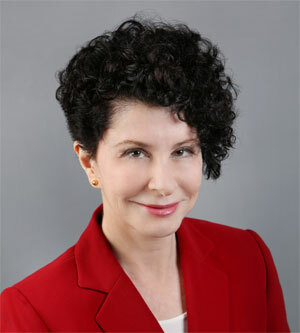 The data-gathering, analyses, and conclusions reached by following this process-driven methodology must be actively, visibly, and energetically led by the CEO, together with the active, visible, and energetic support of the entire executive team, as well as the company’s key thought leader employees. Later sections will discuss how to integrate disparate organizational silos into “One Team”, but the importance of the personal engagement of the corporate leader cannot be overstated, nor the fact that a necessary requirement of any corporate transformation process is consistency of purpose and agreement on not just the end points, but the intermediate milestones. Clear and decisive leadership with a continuous focus on the company’s needs is an essential component of successfully navigating the inflection point. A process-driven approach, actively led by the CEO, has many benefits in addition to leading to a successful outcome. The first concurrent benefit is the active involvement of key executive and employee stakeholders in both understanding the issues, and identifying the required actions, which helps weld these individuals into one highly effective and integrated team. A second and equally important benefit of a process-driven approach is clear communications with the company’s employees and board of the true state of the situation as well as the steps being taken by the company’s leadership to plan for recovery and growth. The importance of communication is amplified in any transformational situation, and the consistency and visibility provided by a transformational process will help provide stability to the organization and access to the company’s board. 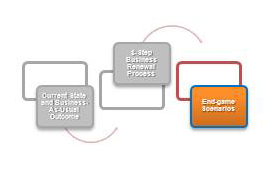 The next chapters will provide the details necessary to complete an accelerated process-based corporate transformation.